The biophysics facility brings established theories and methods from the physical sciences and applies these to open questions in structural biology. Biophysical techniques contribute to all areas of research in the LMB from simple expression and purification issues through to verifying high-resolution structural information and probing interactions and biology from single molecules through to whole cells. Researchers can access a wide range of biophysical techniques that probe the hydrodynamic, spectroscopic, thermodynamic and physical properties of biological macromolecules and their interactions. Techniques covered include sensor based platforms such as Biacore, Octet and SwitchSense, titration and scanning calorimetry, analytical centrifugation, circular and linear dichroism, fluorescence and scanning fluorimetry, static and dynamic light scattering and microscale thermophoresis. 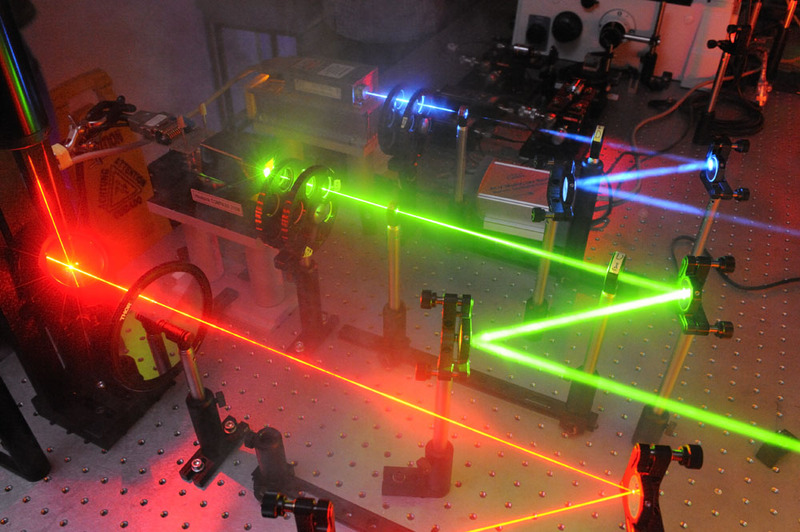 In addition, there are also a number of ‘in-house’ instruments for performing the latest cutting edge techniques in rapid reaction relaxation kinetics and single molecule spectroscopies. Many of these methods are central to the success of research programmes in the LMB. Crenactin forms actin-like double helical filaments regulated by arcadin-2. Wnt Signalosome Assembly by DEP Domain Swapping of Dishevelled. Differential scanning calorimetry as a tool for protein folding and stability.